English Teacher On The Loose: When it comes to 'The Crunch', are you prepared? When it comes to 'The Crunch', are you prepared? As you know, I live and work in Greece which, just in case you have been living under a stone, is going through a crisis at the moment. The government has been given the final countdown by Europe to play their game or get out. Having seen what happened when Cyprus wouldn't play by the rules and with the images of Argentina's bankruptcy still in mind, like any mum, my concerns were feeding my family in difficult times. A pantry well stocked with basic supplies is something modern living has little need of with 24 hour shopping, so I decided to Google it and, low and behold, I found a whole subculture who live in fear of disaster. I thought I'd shared my findings with you! 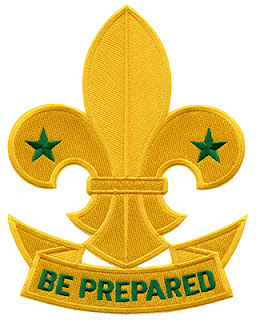 When Robert Baden-Powel, founder of the Boy Scouts, chose the motto “Be Prepared” he intended that a Boy Scout should be ready to face any situation. Scouts take wilderness treks, go camping, cook on an open fire, learn to tie knots, light fires without matches and how to communicate using semaphore. It all seems like an adventure and a fun thing to do if you are a kid. However, there are people who live everyday of their lives honing their survival skills just in case disaster strikes. They are called “Preppers” or “Survivalists”. This is not a new concept and Preppers are currently in the third wave of development. The first were those born in the 1930s-50s who experience World War II, then there were those of the 70s and 80s who were worried about nuclear attack more than anything or socio-economic collapse and since the 2001 September 11th attack in the US there is a new generation of people who see impending doom, be it natural disaster, nuclear war or even alien or zombie invasion, looming just around the corner! 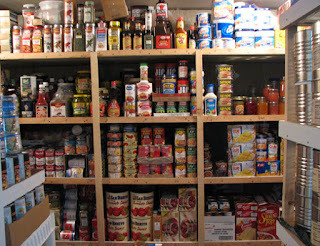 On the web there is a plethora of sites dedicated to the Prepper Lifestyle and culture. 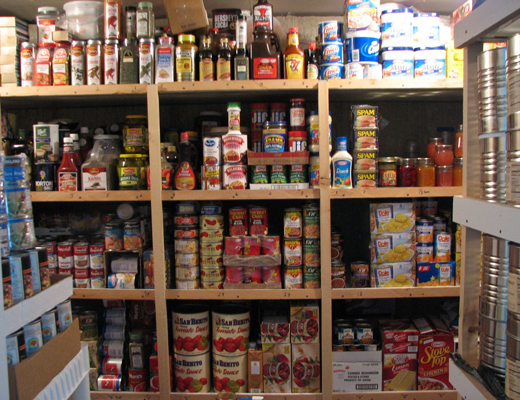 Preppers have lists of supplies with which to fill their store rooms or bunkers, these include edible products and non-food items that are used in everyday life and are seem to be essential for survival. Not only that but they keep themselves fit by hiking and working out, they are usually skilled hunters as they will tell you that the apocalypse is no place for a vegetarian. They have there own terminology (see below). Alpha strategy: Having extra supplies of consumable to swap or use to be (seen to be) charitable. BOB: Bug-out-bag/G.O.O.D. kit = an Emergency supply kit. BOL: Bug-out location. = a place to escape to. BOV: Bug-out vehicle = an escape Car. Crunch: any major, long-term disaster. EDC: Everyday carry. The things we ordinarily carry with us in case disaster strikes, this could include a weapon. Golden horde: The people who will escape from the cities when disaster strikes. G.O.O.D. : Get out of Dodge (city). Escaping a city in time of disaster. I.N.C.H. Bag: I'm Not Coming Home Bag. = a bag carried at all times so you don't have to go home and pack if disaster strikes while you out. Pollyanna or Polly: You are probably one! Someone who doesn't believe the worst will happen. Prepper/ survivalist/ retreater: someone prepared for disaster. YOYO: You're on your own. What situations do you need to prepare for? 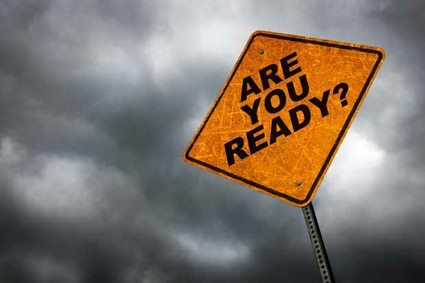 Do you think people who prepare for disaster have genuine concerns or are they extremists, crazy or both? Would be able to survive if disaster struck? Do you already have any of the skills/supplies that are mentioned in the text above? If you had 24 hours to prepare for impending disaster, what would you do? What items do you consider are essential to survival? If you had to escape now, what one thing would you take with you? Where do you think a threat to our lifestyle is most likely to come from? Are you a Prepper? Why? If not, would you become one? Why? Have I put you in the mood for a disaster movie? Try these ones to keep this crazy theme going!